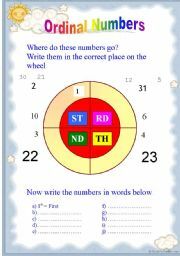 Great worksheet to revise- teach ordinal numbers, different activities to consolidate this. 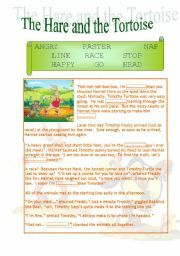 The lion and the mouse - story and lots of activities! 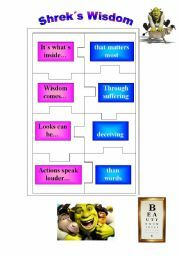 Great way to recycle conjunctions. Enjoy!! 2 many txt msgs bad 4 u ? 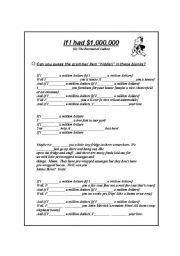 Very nice worksheet to revise simple past or use as a mini-test for your students. 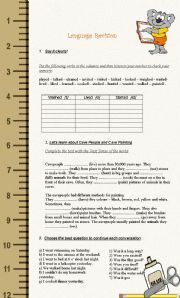 Pronunciation work, cavespeople passage and matching exercise. This is an improved worksheet after learning so much from all of yours! 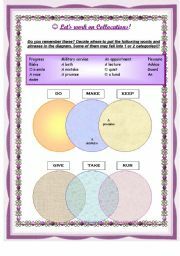 I prepared it to revise collocations but you can use this idea (Venn diagrams) for lots of things. 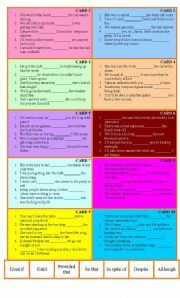 (irregular verbs, food, etc). Enjoy! 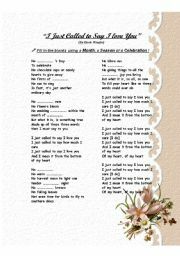 Great song to practise conditional 2! Second powerpoint game!!! 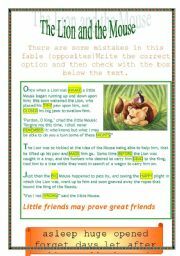 This time I prepared a game for my students in order to revise opposite verbs. Thanks for all your kind comments and support :) Enjoy!